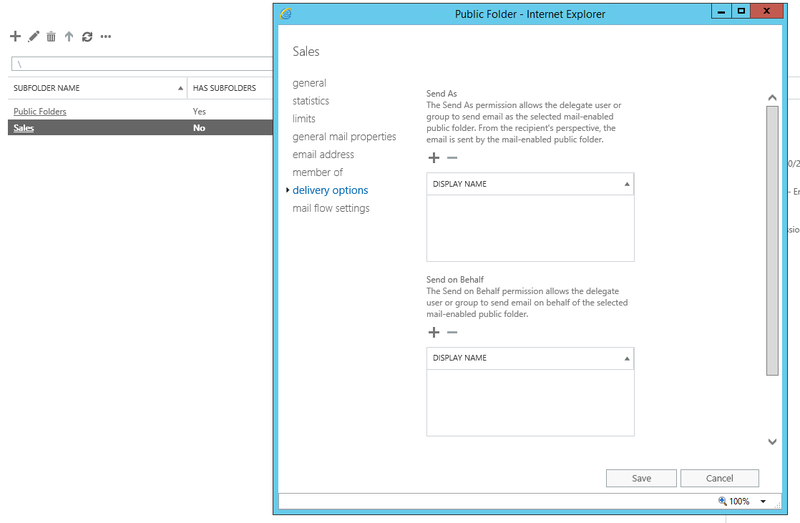 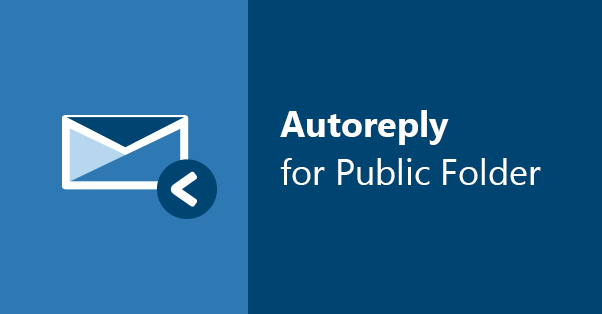 In Exchange admin center, mail enable the public folder by going to public folders, public folders, highlighting the public folder and clicking Enable in the right pane (a warning prompt is going to pop up – click Yes). 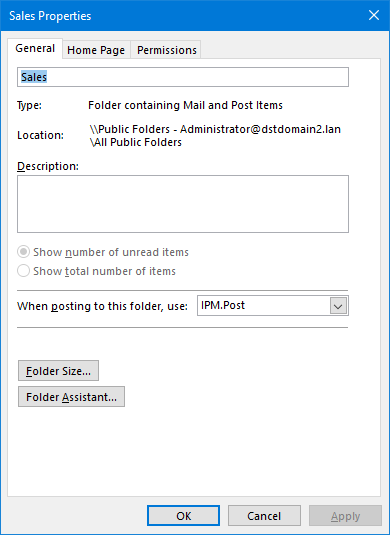 Double-click the public folder and in delivery options grant yourself Send As permissions. 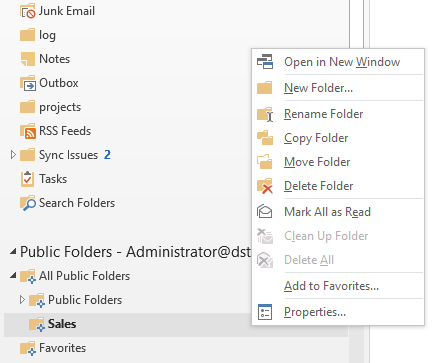 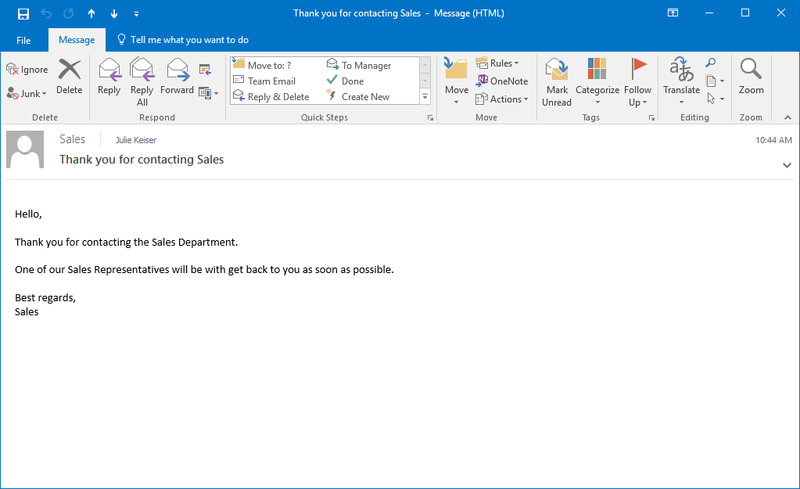 Open Outlook, navigate to the public folder, right-click it and select Properties. 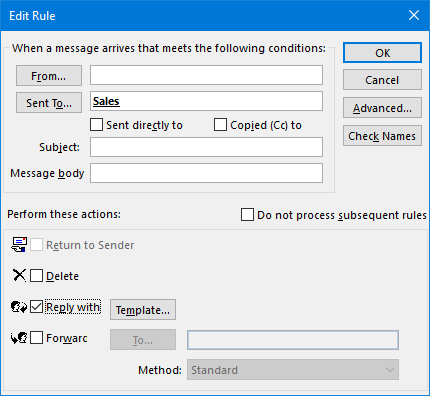 In the Edit Rule window, in the Sent To… field provide your public folder’s SMTP address or click the Sent To… button and select the public folder (you can also configure additional conditions). 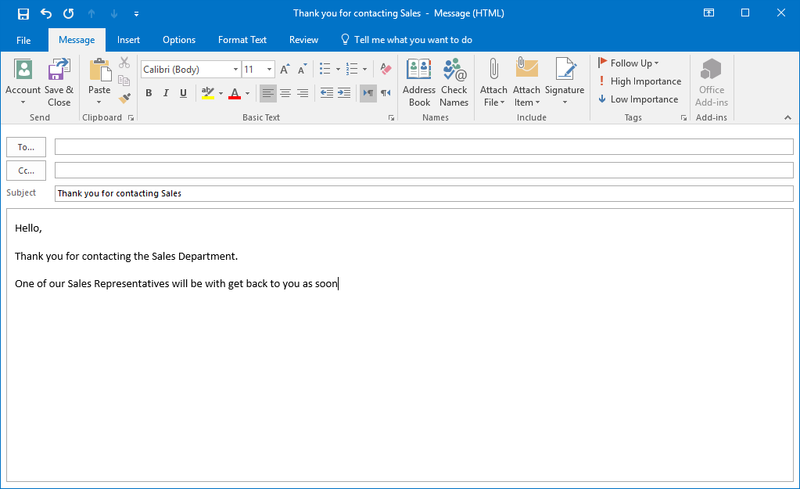 Fill out the template with details (you can leave the address fields empty – the original sender’s address will be automatically added in the TO field) and click Save & Close. 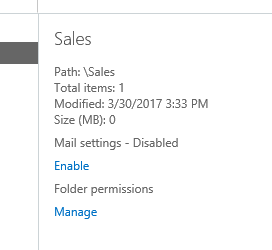 Ok, your way back to Outlook’s main window. 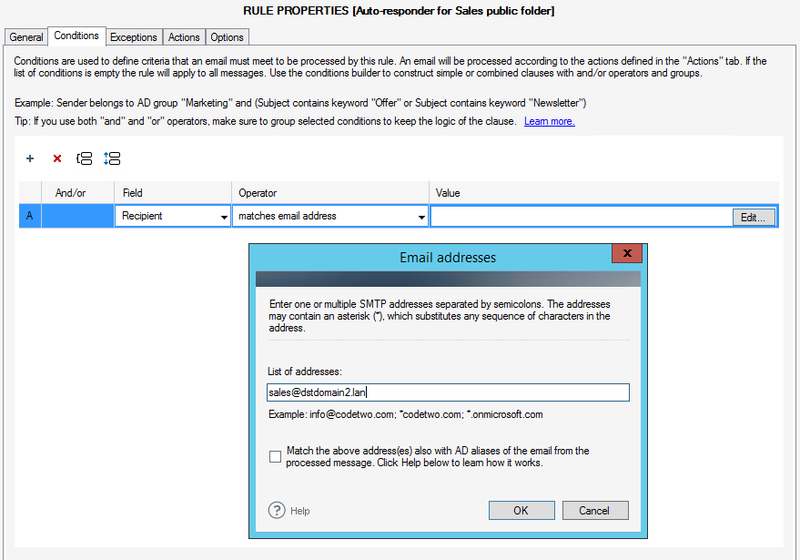 (Optional) In the Exceptions tab define exceptions. 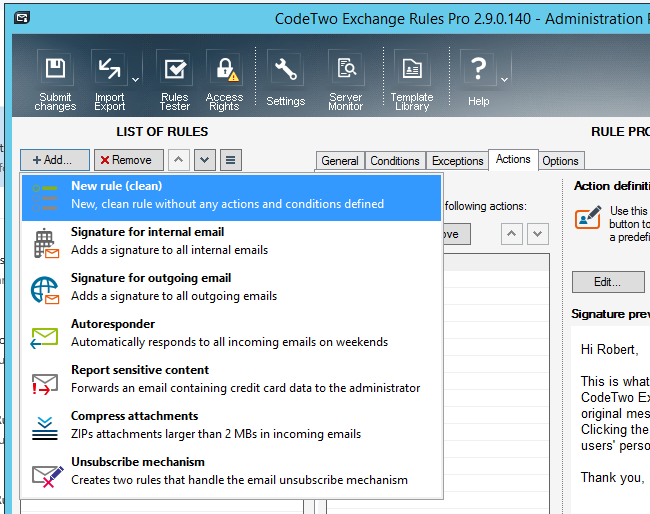 Click Submit changes (upper-left corner).